Code Creator's WAMP Stack provides a complete, fully-integrated and ready to run windows based development environment. The stack provides developers with all the components of the AMP stack including Apache, MySQL, PHP and phpMyAdmin Tool. Code Creator's WAMP Stack provides a complete, fully-integrated and ready to run windows based development environment. The stack provides developers with all the components of the AMP stack including Apache, MySQL, PHP and phpMyAdmin Tool. 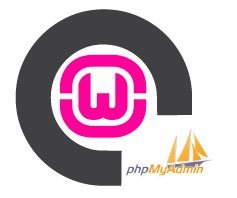 The phpMyAdmin tool is written in PHP to handle the administration of MySQL with the use of a web browser. It can perform various tasks such as creating, modifying or deleting databases, tables, fields or rows; executing SQL statements; or managing users and permissions. No reconfiguration needed. MySQL root password reset to the instance ID on launch without ANY reconfiguration.